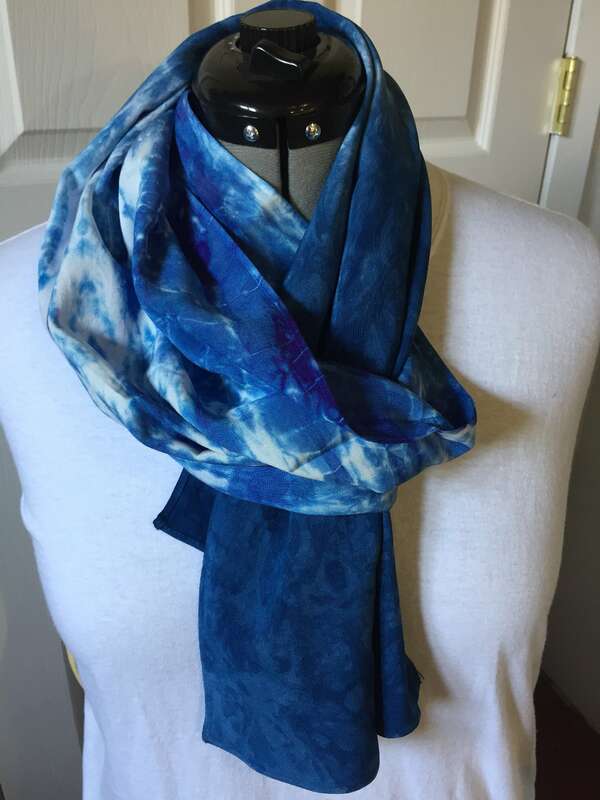 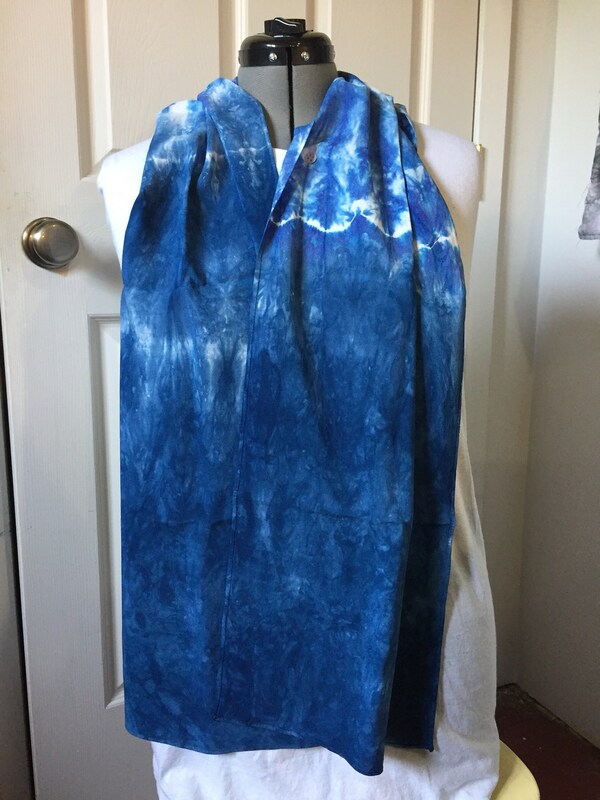 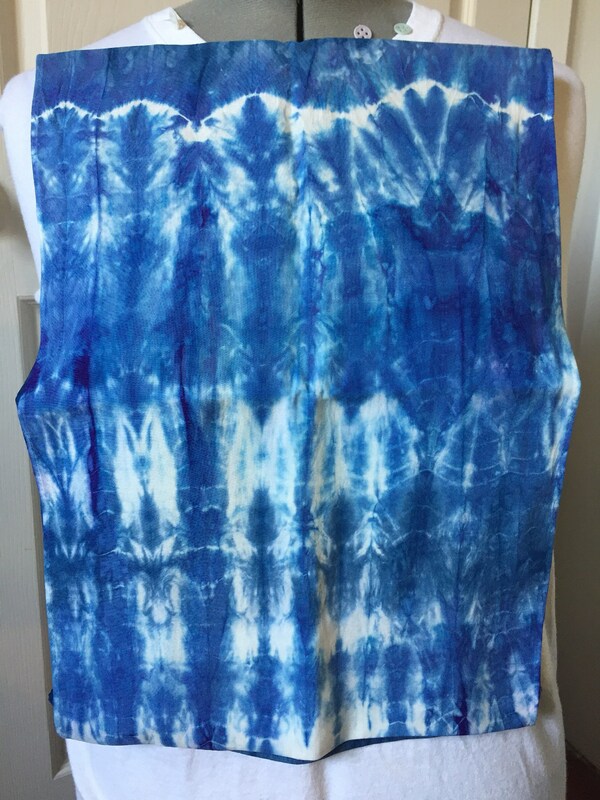 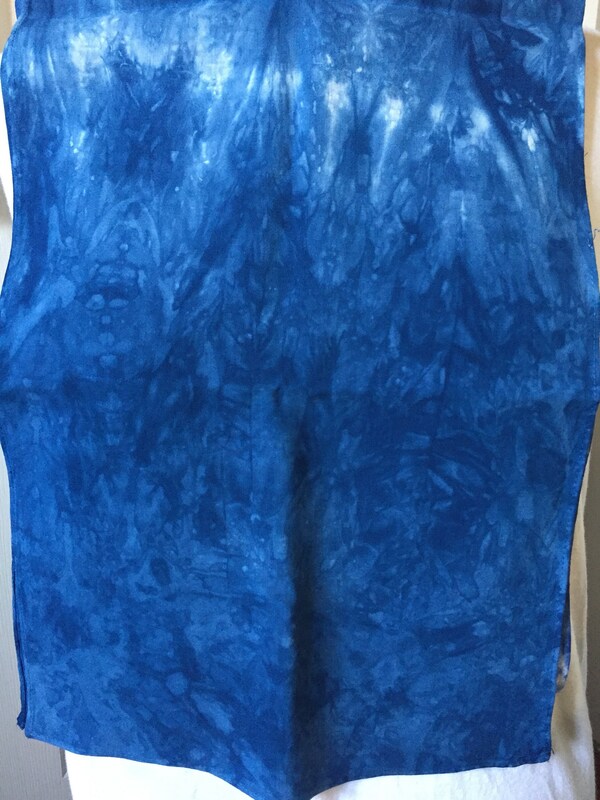 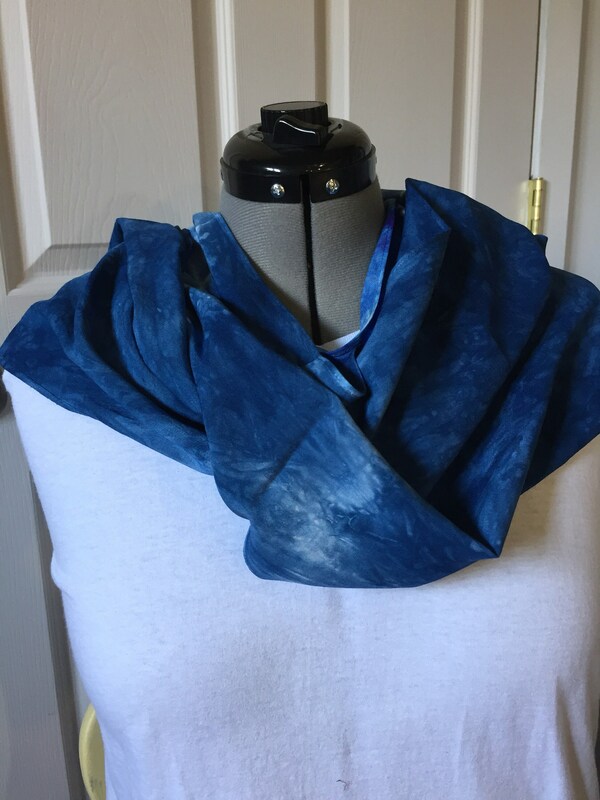 Bamboo rayon scarf, dyed using shibori techniques in Indigo Blue and Royal blue. 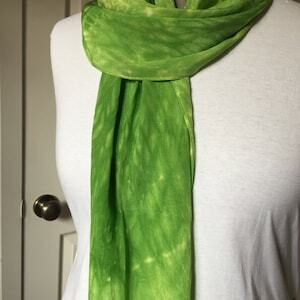 Great for under a coat as that extra layer, or accenting an outfit. 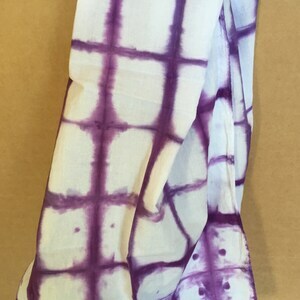 Hand dyed by Daily Hand Dyed. 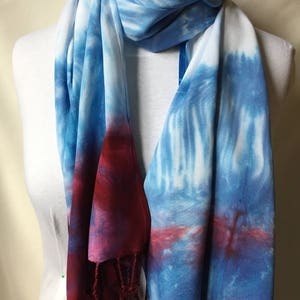 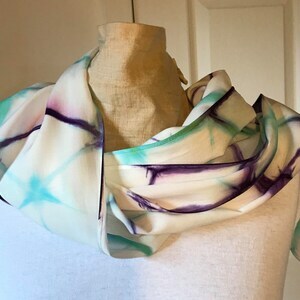 Each scarf is individually dyed, so no two are exactly alike.